We get a lot of questions about Quickbooks, and not without good reason. Since its debut Intuit’s accounting solution has become one of the most popular pieces of business software for small businesses looking to get their financial books in order. Key to the Quickbooks sales pitch is the idea of providing accounting tools that are powerful and highly functional, but can still be picked up and used productively by users who aren’t professional accountants. Across its suite of online and offline versions Quickbooks offers tools for the small business environment that simply outperform a simple Excel spreadsheet. One question in particular we hear quite often, mostly from members of the small business community, is what sort of inventory management functions Quickbooks offers, if any. The answer is more complicated than one would think. Intuit’s multiple versions of Quickbooks, as well as its web-based marketplace for third party add-on apps, complicates the matter. To provide some clarity we’ve put together a list of the inventory capabilities of each version (and the associated sub-versions therein) of Quickbooks in addition to a roundup of some of the third party apps specifically tailored towards inventory tools. The newness is reflected in the fact that of these five versions, only Online Plus offers any sort of inventory tracking tools. The regular version of Plus runs at $39.95/mo., while the enhanced version with payroll functionality is almost twice as much at $63/mo. This is the flagship version of Quickbooks and the one on which Intuit built its reputation through a whole lot of proliferation at the small and mid-size business levels. In contrast to the mix-and-match versions of Online, Quickbooks Pro has only one version. The default version of Pro does have inventory management capability, giving users the ability to track inventory items, turn on automatic restock and purchase orders and indicate re-order points. It’s important to keep in mind that at least one review has pointed out some important limitations to Pro’s inventory tools. Pro lacks the ability to attach images to individual inventory items, which might limit its overall usefulness for businesses with more high-impact, high-volume supply chain setups. Pro is priced at a flat rate of $229.95. 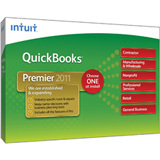 Quickbooks Premier is the middle ground solution between Pro and, on the top tier, Enterprise. Premier’s feature set includes the same inventory tracking and restock/purchase order functions as Pro. Unlike Pro, however, Premier comes with Inventory Center, an app that centralizes all in-program inventory information and lets users view and edit individual inventory items and transactions. Additionally, Premier users can use Inventory Center to attach notes to any item or transaction in the database. The flat rate for Premier runs at $399.95. Perched atop the high-end of Quickbooks variants is Enterprise Solutions, the version tailored specifically for enterprise-level organizations. While this might seem a far cry from Intuit’s perceived bread-and-butter of small business users, many of the features of its enterprise solution are identical or directly built upon those established in the smaller-scale versions of the core Quickbooks software. Enterprise retains the same inventory management tools of both Pro and Premier including the Inventory Center application, a recent addition to its 12.0 release. Added onto those tools is a rich variety of functions like back order tracking, bill of material creation, inventory stock status reports and enhanced receiving. Of course, an enterprise-level solution commands an enterprise-level price tag: most resellers price Quickbooks Enterprise at more than $2,000. 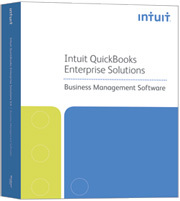 One of the features contributing to the longevity of Quickbooks is Intuit’s Intuit Marketplace. Similar in concept to Apple’s iOS Store or Google’s Android Store, here Quickbooks users can browse and download apps that add onto the core functionality in any number of ways. One of if not the highest profile inventory management apps for Quickbooks. Fishbowl provides many of the same tools as the regular Intuit Inventory Center app as well as many other whole new ones like bar coding, integration with manufacturing processes and extended LIFO, FIFO and Standard Costing. With SOS Inventory a Quickbooks Online user gets many of the same sales order, order management and manufacturing tool sets that come with higher grade, on-premise versions of Quickbooks. ACCTivate! brings a vast array of new inventory tools to the native Quickbooks program. 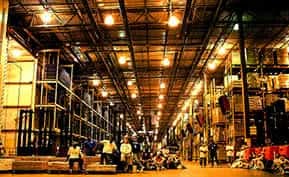 Chief among these are a full suite of inventory control functions and warehouse management tools like the ever-handy bar code printing, wireless inventory receiving and location and bin management. Ultimately, while additional functionality and extended feature lists are always good, an organization looking to adopt a piece of business software should base it criteria on that product’s primary features (or what it says it does on the front of the box, to put it more simply). 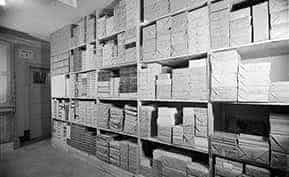 Quickbooks built its reputation on being a solid solution for accounting, not a program for managing a warehouse. If a prospective adopter sees heavy duty inventory management needs in its future, it might end up being more economical to not rule out the option of getting two different programs and letting apples and oranges remain what they are. Looking for more information on inventory management software? Browse top blog posts and exclusive Business-Software.com resources on inventory solutions at our Warehouse Management research center.